We all love seeing our gardens flourish. We water carefully, maintain the pH of the soil and keep our plants constantly fertilized so they can start reaching for the sky. But in two weeks time when your plants are looking weak and unhealthy the troubleshooting process begins. A good place to start is with your fertilizer; it is possible to over-fertilize and, essentially, overdose your plants causing them to become sick or even die. Plants must maintain a delicate balance of nutrients in order to thrive so that extra fertilizer that you were hoping would give you prize-winning zucchinis could be sabotaging your efforts. There are a few key things to remember when fertilizing that will help you avoid damaging your garden. First, read the instructions. Not only the ones on the fertilizer itself but also on your packet of seeds, the container the plant came in or the tag. Some plants require a monthly feeding and others might recommend feeding more often. For instance, liquid fertilizers reach the roots more quickly and offer a timelier boost to your plants but also must be reapplied more frequently. Also, be certain you aren’t just picking up any old fertilizer for your garden. Some fertilizers are meant to be for your lawn and are specifically designed with a proper balance of nitrogen, phosphorus and potassium. Fertilizers that are meant to assist blooming plants often have slightly lower nitrogen content and will be higher in phosphorus and potassium. Time-release fertilizers are often tailor made for vegetables, tomatoes and roses. These bead-shaped fertilizers will release nutrients over time when it rains or you water. The time-release feature also helps give you sustained blooms and production so you’ll have a longer, healthier season. Secondly, there are organic options that provide the gentle boost of nutrients your plants may need. Compost or other organic materials, like manure, can improve soil texture, nutrient balance and introduce organic organisms that naturally contribute to replenishing the soil. Another bonus of this sort of fertilizer is that you’re less likely to burn your plant or the delicate surface roots and the benefits go well beyond just providing nutrients; there can be enzymes and hormones in compost or manure that also contribute to the health of your plant. If you have the time and materials to start your own compost pile I highly recommend it. You’ll reduce your kitchen waste (just throw your non-protein scraps in the pile) and improve your garden. If you would like to use manure, but don’t have deer or rabbit droppings to collect nearby, look up a local horse stable and give them a call. Most barns are happy to have a local gardener haul away their waste. Finally, no matter what kind of fertilizer you’ve decided to use you must be careful with the application. Most fertilizers prefer to be applied to dry soil and then watered thoroughly into the ground. Also, do not just toss your fertilizer all over the garden covering your soil and plants alike. You do not want to get fertilizer on the leaves or stem of your plants and risk burning them. It is best to make sure you have an even application of fertilizer with no high density spots. Applying fertilizer in a concentrated area could, again, burn your plants or over-feed the plant it is concentrated around. Fertilizing properly can be one of the simplest and most beneficial things you do for your garden. Remember that above all else, read the directions and be patient. Picking and applying the right fertilizer isn’t going to provide fabulous vegetables immediately. Overtime though you’ll have the most, the biggest and the brightest vegetables! Emily Hall is a contributing writer for Mike the Gardener Enterprises, LLC the exclusive home for the Seeds of the Month Club and a gardening enthusiast who lives with her husband in Albuquerque, New Mexico. This season in her 8’x10’ raised bed she is growing red bell peppers, yellow sweet peppers, roma tomatoes, cherry tomatoes, cucumbers, red leaf lettuce, green onions, cilantro and three types of basil; all of which were grown from organic seeds. Gardening can have many significant benefits; whether it is for self-gratification; off-setting grocery bills; fresh herbs for dinner; or lending a helping hand to the environment. However, in this economic climate many have had to rethink their living situations and have relocated themselves to apartment or condominiums. As a result, many people may have given up on the garden, due to limited space. It may seem like a poor decision to start planting again, however, it's actually quite the contrary and I find that the apartment is the perfect place for your own home grown garden. Gardening product providers have developed many new planting options to give its clientele the resources to plant more efficiently and more abundantly, even if it be on a porch or balcony. One product that has been developed that is very beneficial is the quick start planting pellets. Just simply add water to the condensed pellets and once they expand, just plant your vegetable or herb of choice. Next place in the humidity inducing chamber and wait about a week for your seeds to sprout. Once they have germinated, all that is left to do is plant in your pot of choice. Utilizing the railings as support is great way to save in areas with limited space. There are specialized planters for purchase that are designed to hang from balcony railings that extend outward, to gain usage of space that is otherwise useless. I find these planters are perfect for herbs or even flowers to add some color to your outdoor patio. 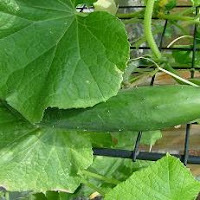 Another inventive idea is to plant vine-like plants, such as cucumbers. By slinging them over the side, and letting them grow downward, it can give plants more strength and use less space in order to grow plants that need plenty of room to spread out. I have utilized all these techniques to grow a diverse range of plants, from cucumbers to cilantro, from cacti to columbines, and even onions. Living in apartment, planting did not seem to be a plausible option. However, it was one of the best, inexpensive decisions that you will ever make. All these resources can be found at your local supercenter. Whether you are planting for fun, food or flavor, it can still be done, even if it's just a patio. Tyler Blossom is a contributing writer for Mike the Gardener Enterprises, LLC the exclusive home for the Seeds of the Month Club. Planting and growing a garden is work. A labor of love though it may be, work it is nonetheless. When you're a first time gardener as I was when this took place, you tend to do a lot more work than you really need to out of ignorance. Reading articles helps, but nothing pounds a lesson home like the school of hard knocks. At any rate, you go with what you know. You've prepared your bed, planted, watered your little heart out, weeded until you're light-headed all for that delicious satisfaction when what you've planted starts reaching for the sky with wild abandon. Such was the case one morning when I was watering and admiring 4 glorious 4 ft rows of sunflowers I'd planted, separate from the vegetables which were growing more slowly at the time. My sunflowers weren't yet budded, but in my mind's eye I could see their dinner plate faces following the sun across the sky, declaring to my neighbors in no uncertain terms my gardening prowess. Peaceful and triumphant was my demeanor as I went about my work day. Normal evening activities ensued, nothing spectacular or out of the ordinary. The following morning I awoke to again admire my green thumb's handiwork. As always my ratty t-shirt, pajama pants stuffed into my gardening boots, I make my way to my point of pride, hose in hand. Vegetables get soaked first (they are the priority) and then on to my "showoffs" what will be the easily recognizable sunflowers to awe passers by with their billboard-like perfection. I'm slowly watering and admiring each of my plants with the loving affection of a mother dog towards her puppies. That was when I saw it. A sunflower, the plant clipped off at the top, the rest of it still there like a green leafy trick. Slowly my gaze turns to the rest of my sunflowers. In complete and utter disbelief I see that over half of my plants are in the same condition. I fell to my knees screaming NOOOOO!!! Shaking my fist to God for this tragedy...Okay, so that didn't happen. But I did look around for some evidence of the culprit, and there they were, tracks like little broken hearts straight through my patch of sunflowers. And that wasn't just being dramatic, if you've seen a deer track, they're pointy at the top, a cloven hoof that is rounded at the base. It almost literally looks like a broken heart. So I finished watering the survivors of the deer attack and went straight inside to learn how I might avoid another such tragedy that would be coming in the very near future if I didn't take action. 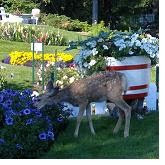 There are a lot of options available on the market to keep deer out of a garden. You can use chemicals, or you can buy an electronic animal deterrent which is good for not only deer but rabbits and raccoons as well. Many great products on the market will readily take care of your problem. However, as a first time gardener and being young and unestablished, money was an issue. Many people consider cheap to be $50 or less. At the time, my cheap was free. I also wanted to take into consideration the organic-ness of my enterprise. I wasn't all that keen on using chemicals to defend my plot. Wasn't that kind of the point of growing your own, to get away from the chemicals? So I needed something free of both chemicals and cost. Luckily, my garden didn't go unprotected, and here's how. To defend from the deer, you must know the deer. Having a father who is a hunter, and numerous relatives who are garden enthusiasts this is a valuable resource, not to mention the internet. Being a country girl myself, advice was my first stop, and I received some pearls of wisdom. The key, is what deer don't like. Deer don't like people. And I also learned that deer have a fear of becoming entangled. A deer fence was obviously a thought, but A. Cost was a huge factor in my world, and B. Have you seen how high those suckers can jump? Fencing really wasn't an option for me...or was it? I was amazed to learn that you can deter a deer with string. My mind was boggled. String? Yes, friend. String. Have some decent sticks about 5 feet or so high after you've driven them into the ground, and stake out the perimeter of your garden, and fence it in with twine. Not fishing line, mind you, but string. Or ribbon if you wish. A shiny kind of ribbon is desirable, something that might flutter in the wind a little. Then, at intervals throughout the length of the string between stakes, tie on a line to hang down a foot and a half or so. Then on the end, tie something that will flutter, an aluminum pie plate if you're feeling extravagant, or any sort of little doo-dah that will weigh down the string or ribbon a little. Voila! Deer fence! Deer don't want anything to do with that. Another solution I was given was the smell of people. Am I supposed to mark my garden like a male dog? Not at all. My Aunt suggested hair. Human hair. Go to your local hairdresser or barber. Make friends with other hairdressers. Collect hair from them, and then sprinkle it generously in a perimeter around your garden. Deer deterrent galore! They can't stand the stuff and will give your garden a wide berth, and its somewhat effective on other animals seeking to pillage your garden. However, it is organic material and you will need to recharge your hair barrier every few weeks. Although my main concern was the deer, my Aunt being the incredibly wise individual that she is, knew it wouldn't be long before my problems were more than just deer. Rabbits would be after my other veggies. Raccoons would be decimating my corn. So she gave me some outstanding tips on how to deal with these critters as well. As it turns out, rabbits don't like bacon grease. Yes, simple bacon grease will protect your rabbit-preferred veggies. Just sprinkle some bacon grease around the outside of your garden, and Peter Cottontail should be effectively thwarted. Mothballs are another excellent solution to rabbits, but those are recommended more for flowers than vegetables. Raccoons are another matter. Tin pie plates hung from your string deer fence will only keep them at bay for so long. The hair and the bacon grease...I envision their little masked faces laughing at me while I sleep, my cobs of corn in hand. The solution? Cayenne pepper. I had some right in my kitchen. Sprinkle it around each corn stalk. It kept the raccoons away, and other animals as well. Another tip she gave me was to leave a radio in the garden, of the small and portable variety. Tune it to the loudest station you can find and turn it up, not loud enough to disturb you or any neighbors, but loud enough to be heard throughout your garden. That's a suggestion that will deter any garden seeking critter. Just remember to put in in a plastic zipper bag, or some other protective container that doesn't block the sound. I didn't. One afternoon rainstorm later....I don't need to talk about my own stupidity. Let's just say I really liked that radio. Rest in Peace, Panasonic. You are missed. 1. Mulch keeps the ground moist, so that less evaporation takes place and less watering is needed. 3. A mulched garden looks beautiful. 4. And the obvious one, the main reason people use mulch, is that it keeps the weeds down, big time. The few that pop up through the mulch are generally much easier to pull, too, because the ground stays soft and moist under the mulch. 5. Oh, and I almost forgot to mention another nice feature: mulch keeps drooping tomatoes, sprawling squashes and cucumbers, and other vegetables out of the dirt, where they are more apt to rot, and prevents rain from splashing dirt all over the leafy vegetables like lettuce and chard and spinach. Although it is wise to wash vegetables before using them, they come out of the garden looking cleaner to begin with when mulch is used. I live in town, and it is sometimes hard to find enough mulch to cover my garden, but the neighbors and I pile up our raked leaves in the fall, and we use it in the spring to mulch between rows of vegetables, and several people bring their lawn clippings over. There's a park nearby that doesn't treat the grass with chemicals, and sometimes we go down there and rake up after mowing. I used to live nearer the coast, where we could go down to the beach and rake up seaweed for mulch. Old hay can sometimes be bought pretty cheap, and the bales break apart into neat little squares with which you can make tidy pathways that look lovely. I try not to spend too much money on the garden, and to "make do," but there are always products that can be bought from farm and garden stores if one wants to go the more expensive, high-maintenance route. Virginia Hughes is a contributing writer for Mike the Gardener Enterprises, LLC the exclusive home for the Seeds of the Month Club. Whether you need water for flowers or vegetables, there are alternate ways to collect and store free water than pulling it from the tap. A common source of water for gardeners is the garden hose—traditionally abundant and inexpensive, many gardeners never consider the impact or expense of using water from municipal sources or private wells. To reduce consumption and collect a free source of water, use a rain barrel. A rain barrel is simply a large container for collecting rain water, usually from a gutter. The idea behind a rain barrel is that the total surface area of your roof onto which rain falls is gathered into usually a few locations—that is, the gutters. So using a rain barrel allows you to conveniently collect and store all of this water for later usage. Ready-made rain barrels which you can buy come with a spout on the bottom to which a hose can be attached. Ready-made rain barrels are convenient, but can be expensive, and overall they’re often made of plastics, which perpetuate oil consumption. With a little extra work, you can find or purchase an available resource for your rain barrel. Where I have my rain barrel, I found two garbage cans left on the property probably from when the city of Ann Arbor issued its own refuse cans. Thus, I converted these unused available resources into rain barrels. The trashcans I found had holes in them, so I lined them with the thickest 42-gallon trash bags I could find—contractor grade trash bags, 3mm thick. I put the rain barrel under the gutter, and voila! After the first rain storm I had a ready supply of water for my garden. One downside of my rain barrel set-up is that I don’t have the convenience of a spout on the bottom. Thus, I draw water from my rain barrel by scooping out the water with an old plastic container. This allows for direct watering and minimal waste of my rain water reserves. Another drawback of my rain barrel is that standing water is left somewhat open and exposed, which can be a breeding ground for mosquitoes. To combat this I agitate the water periodically to drown potential mosquito nests. It helped me; I’m sure it can help you. Most importantly depending on your local rainfall patterns, you should implement the benefits of a rain barrel as soon as possible before the drier part of summer arrives. So, with minimal investment and environmental impact, you too can have a steady, inexpensive water source for your garden. Enjoy! David Merian is a contributing writer for Mike the Gardener Enterprises, LLC the exclusive home for the Seeds of the Month Club. Kohlrabi is in the same family as cabbage and is one of those vegetables that most people neither know about nor want to grow. However, because of its tolerance to cooler temperatures and its ability to grow fairly quickly, kohlrabi can make a nice addition to the garden in the early springtime and even better a great replacement vegetable when the warm weather crops are done. Here are some tips to help you grow kohlrabi successfully. As with growing any vegetable lets start with what matters most and that is the foundation of your garden, the soil. Kohlrabi likes the soil to be a bit acidic in the 6.0 to 7.0 range. Give your soil a quick test with a home soil test kit available from your local home or garden center for just a few bucks. Make the adjustments to your soil as needed. Now that you have the foundation of your home vegetable garden all set lets plant the seeds. Keep in mind kohlrabi will tolerate partial shade, but if you want a good harvest, try to plant it somewhere that gets full sun throughout the day. Plant the kohlrabi seeds no deeper than a half inch. Any deeper and the seed might not be able to generate enough energy to push through the topsoil. Your kohlrabi seeds will germinate in about a week. Make sure that you give it a moderate watering or enough to keep the soil moist. If you do not own a soil moisture level tester, you may want to consider adding it to your arsenal of helpful garden tools. You will get an accurate reading of exactly how much moisture is currently in your soil. Regardless of whether you are planting kohlrabi in the early spring or late summer/early autumn, avoid following cabbage in a rotation. They are in the same family, use the same nutrients, are susceptible to the same insect attacks and diseases and if you follow same family members, that increases the chances for the occurrence of everything I just mentioned. Instead, follow some peppers or tomatoes if possible, and if this is a late season planting, kohlrabi is an excellent companion for beets, celery and cucumbers. Your kohlrabi is ready to harvest when the stem is about two inches in diameter. When harvesting pull the entire plant and trim off the leaves with a sharp pair of scissors. 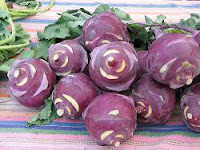 Kohlrabi can be stored in your refrigerator for up to two months, although it tastes better, as with other vegetables, when eaten fresh. You may not have considered kohlrabi before, but I guarantee, once you add it to your home vegetable garden you will be asking yourself why you didn’t add it sooner. Do you think you could build a skyscraper that stood four football fields tall if the foundation to that building was made from some cheap lumber and dirt? Probably not, and even if you could build it, would you want to go in it? I certainly would not. This may seem a little far fetched but far too many people apply this same principle to the soil for their home vegetable gardens. They go out and buy the best seeds at three dollars a pack or buy plants from their local nursery for even more money. Then they put them in their garden and a month later nothing has happened. They blame the seeds, the plants, the nursery, mother nature and even their Aunt Matilda who told them vegetable gardening would be a good idea. The fact is the fault may lie in the soil where everything gets planted. It could contain too much clay, not enough nutrients, inadequate drainage, and so much more. Here is how you can prepare yourself to fix the issues in your soil. Start by testing your soil. 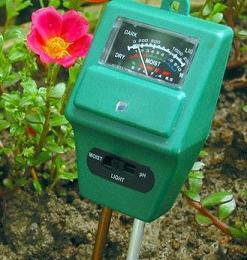 You can pick up an inexpensive soil tester from your local home or garden center for just a few bucks. I like to use the three in one soil tester which gives you a very quick reading of the soil’s pH level, how much light a spot in the garden receives and the amount of moisture the soil is currently holding. They are a bit pricier around ten to twenty dollars, but well worth their weight in gold. When you do a soil test you are looking for the soil’s pH level and the nutrients the soil is lacking. The common nutrients you will receive a reading on are nitrogen, potassium and phosphorous. You want your soil’s pH level to be in the 6.5 to 7.5 range, which is optimal for most plants. Some plants like the soil a bit more acidic (under 7.0) where as others like the soil more alkaline (over 7.0), but if you keep it in the range noted previously you should be ok.
Next, if your soil is deficient in nutrients there is no better way to get it back up to par then adding in good compost. Compost is nothing more than organic matter that has broken down. This matter are your grass clippings, leaves, left over dinner, coffee grounds, fish waste and good ole fashioned cow, chicken or horse manure. Grind this stuff up and mix it in with your soil and the next time gardening season rolls around your soil should be ok. Just remember composting is not a one time thing. You must compost every season to keep those nutrient levels where they should be. Finally you need to understand that your garden must have adequate drainage. If not, your plant’s roots will develop root rot and they will die. If your soil is heavy with clay then you will definitely have poor drainage. The best solution is to mix in plenty of compost and peat moss. This makes the soil more friable allowing water to drain better. You are not going to solve all of your soil’s problems in one season. It takes a few to get it right where it should be. Sure there are ways to speed up the process, but if you want to keep costs low, time is your best ally. By adding what your garden needs in reasonable quantities over a long period of time, your soil will be tremendous and you won’t know what to do with all of those fruits and vegetables you will be harvesting. I love the scene in the television show Seinfeld where character George Costanza, played by actor Jason Alexander, is talking to a female named Kelly, played by actress Tracy Kolis, about his love of the word manure. The funny line is, “when you consider the other choices, manure, is pretty refreshing.” Of course Kelly cuts the date short as she finds talking about the subject pretty strange. Had Kelly been a vegetable gardener she might have gone off on a tangent as to the wonderful benefits manure has for your home vegetable garden. I guess the “show about nothing” did not want to take that route. Manure from the proper sources (I’ll get to that in a moment) presents you with a great opportunity to add much needed nutrients back into the soil and with seasoned manure from these same sources, you can brew a wonderful elixir called manure tea. We’ll cover manure tea sometime in the future. Here is how manure works to benefit your home vegetable garden. Manure is nothing more than organic matter that contains tremendous amounts of nutrients your vegetable plants can use, such as nitrogen. However, in order for your plants to use those nutrients they must be released from the manure. The only way this can occur is to have a higher life form feed on the manure (yeah I know it sounds gross) such as worms that then release their own castings that plants then use. This is just a basic overview of course. There are both good and bad manures that you need to know about. Your dog, cat and human manure is bad. It can be toxic to your plants as well as the underlying ecosystem. Do not use these manures. 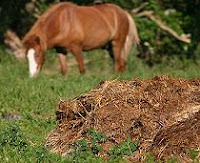 Good manure comes from sources such as cows, horses, chickens and other types of grain or grass fed live stock. Now that you know how manure works and what the good types of manure are, the next obvious step is to know how to add it to your home vegetable garden. Simply add the manure to your garden and mix it in with your soil. The important part, which I will get into in a moment, is knowing exactly at what time of the year you should be adding it. Make sure you mix it in thoroughly with a pitchfork, broad fork or tiller. This step is crucial in the adding stage and that is what time of the year should it go in. If you have fresh manure, meaning it is less than 6 months old (yeah I know who keeps the dates on this stuff), then it is recommended that you mix the manure into your soil at the end of your growing season, which for most of us is in the autumn months. If you have seasoned manure then you should add it no later than 4 weeks before planting. This gives it plenty of time to start releasing all of those wonderful nutrients. So where do you get manure? You could buy it at a local home or garden center, but why do that if you can get it for free from a local horse or cow farm. Just check on websites such as Craigslist in the farm and garden section. Also, if you do find someone that is willing to give you some manure, make sure the livestock are not fed with any types of grain or feed that contain chemicals. Those chemicals could be passed to the manure. 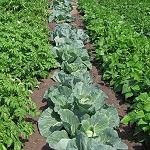 There is no question that adding manure to your home vegetable garden has tremendous benefits. Knowing where to get it, what kind to use and how to add it is just as important to know. I read in a book once that your pH level does not matter when you grow vegetables and that you should really ignore it. The problem is if you have soil that is too alkaline and try to plant tomatoes, they will taste terrible or even worse not grow at all. That is because tomatoes love your soil to be on the more acidic side of the pH scale. If you don’t remember from high school chemistry class, the pH scale is a range that lets you know how acidic or alkaline something is. The scale goes from zero which is the most acidic, to fourteen, which is the most alkaline. Seven is considered neutral. Now that you know what the pH scale is the next step is to find out what the pH level of your soil is. There are a variety of tools you can use including having your local co-op do the reading for you. Each varies in cost and usually the higher the cost for which one you choose the more detail you will receive about your soil. You can make a stop at your local home or garden center and pick up a pH soil tester for as little as four dollars. Once you have your tester and have followed the tester’s instructions to obtain your pH level reading you are ready, if necessary, to adjust your soil to get it in the level for the fruits and vegetables that you want to grow. If you grow a large variety of fruits and vegetables then you will want to keep your soil’s range in the 6.0 to 7.5 range. Most vegetables and fruit do really well here. Regardless of where your soil ends up on the pH scale, if you have to make adjustments to it using the suggestions below, it is best to do so in the fall months. This will allow for enough time for proper breakdown of the items listed below. If your soil is too acidic, meaning it falls below the optimal level of 6.0 (although some vegetables grow very well at 5.5), here is what you can do to raise that level. There are two types of lime you can add to your soil. Which one you will need is based on the results of your pH soil test. The two types are calcitic and dolomitic. Calcitic lime contains just calcium where as dolomitic contains both calcium and magnesium. Your soil tester will basically tell you what your soil has and which one you need. For example if you need to raise your soil’s pH and have ample amounts of magnesium then you only need to use the calcitic lime, otherwise use dolomitic. Combine your application of the lime you choose with heavy amounts of good compost from your compost pile that I know you are keep around right? If not, you should start one immediately. If your soil is too alkaline and is above 8.0 on the pH scale, then here is what you can do to lower it to put your soil in that optimal range. To reduce your soil’s pH level there are a number of things you can do, all of which are natural and safe to your home vegetable garden. As before, adding good quality compost to your soil helps tremendously, but the fall you should work in some wood shavings, pine needles, peat moss if available in your area and plenty of leaf mold. An equal combination of all of these will help. Maybe you will get lucky and your soil is perfect so you will never need to make any adjustments. But why take that chance. Spend the four dollars, get your soil’s pH level just to make sure. Give your home vegetable garden every advantage it can have so your fruits and vegetables will thrive. I recently taught an introduction to home vegetable gardening class at our local library here in Burlington, NJ. It was fun to not only pass along what I know, but bounce off some ideas that other local home vegetable gardeners have had success with. During the course of the evening an excellent question arose from a student that recently moved from Austin, TX. What lead to his question was from a fascinating discussion we all had about the heat and water issues that the Austin, TX area suffers from. It was an excellent question and what lead me to write this particular article. The best way to make sure you are not overwatering your garden is with the help of these three tools that I am about to describe. Used in conjunction with one another, you will be able to be near perfect with your (and natures) watering efforts. Do you know how much rain fell this morning? Last week? Most people would answer no to this question as many do not monitor how much rainfall they receive. I think this is a bad mistake. Although it may seem that your garden received plenty of water from yesterday’s rainfall, there is a possibility that it has not. With this simple tool all the guess work is gone. Available at any home or garden center for under $5 (sometimes cheaper) you can monitor exactly how much rain you received. This information will come in plenty useful when it comes time to watering your vegetable garden. There are a number of different styles and varieties as well as included features with them, but all moisture meters work pretty much the same. On the bottom of the meter are probes that you will insert into your soil. On top of the meter is a box that will then give you a readout of exactly how much moisture is in your soil. Available online, or at any home or garden center, the cost is less than $20 and it will give you all of the information you need to make sure you are watering your vegetable garden properly. Do you take week long vacations or will you be out of town for a few days? This could put a real damper on your home vegetable gardening efforts. Let’s face it, in the hot months here in NJ which is usually July to August we can go a few weeks without water. A water timer will help should I be away during those periods to make sure that my plants still receive the water they need. Most water timers simply screw on to your home’s hose spigot and then the hose screws into the timer. Basic models will let you set how long you want the water flow to continue, where as advanced models will allow you to set gallons, specific times of the day and so on. They vary in price and are available at any home or garden center. Pick one that is right for you. Water is as important to all life. Without it, your plants simply won’t grow. Arm yourself with these three available tools to ensure your garden will be well taken care of. Cucumbers are the second most popular vegetable grown in a home vegetable garden according the United States Department of Agriculture. Who can argue? They are a great vegetable to eat and easy to grow. They have but one drawback. They require a lot of space if you just let them grow and vine out (indeterminate varieties of course). You are in luck though. Cucumbers will grow wherever you direct them and if you are limited with horizontal space that means you can send them vertically. Here are four methods you can use to make sure you have plenty of room for all of your other vegetables. Most people do not think about using a tomato cage for their cucumbers. You can pick up tomato cages at your local home or garden center for just a dollar or two. These work very nicely because not only can you get them to grow up, but by directing their growth you get them to grow in a spiral upwards direction. The cucumbers will latch onto the cage and then you simply direct the vine to go where you want it to grow. Another good method is to take a garden stake or pole at least fifty inches in height and wrap it with some fencing. Poultry fencing seems to work the best. As the cucumbers grow they will latch onto the fencing and continue to grow upwards. You may have to do some directional help here but not as much as with the tomato cage. This method will require taller poles for the cucumbers, but is a great space saver. This, the trellis method, is probably the most popular of the four. You can build or buy a variety of different trellises for your garden. Do a Google search on the word “trellis” and you will see what I mean. Just put a trellis near your cucumber plants and they will do the rest. Depending on which type of trellis you go with, the amount of work you put into it could be as little as none to as much as the tomato cage. More than likely it will be somewhere in between the two. Finally, this is the method my dad used all the time and that was to have two poles at each end of the garden row that the cucumbers were in and then tie multiple rows of string to each end of the pole making sure each row was very tight. As the cucumbers would grow he would direct them back and forth and up the rows of string. It worked very well for him and kept the row of cucumbers in their own rows. These 4 methods are nothing new and have been around quite awhile. If you are new to home vegetable gardening I would recommend experimenting with all 4 of them to find the one that best fits your needs and growing style. 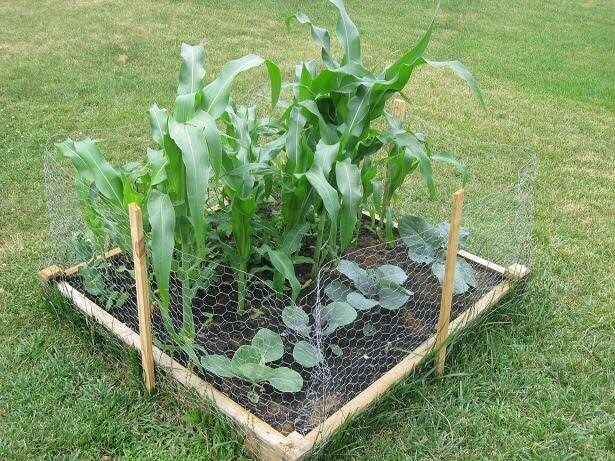 You will be amazed just how much room you can save by growing vertically.